Please note, we operate a Pay-in-Advance policy for treatment. For details please see below. Beaufort Park Dental Surgery offers Denplan Care. This scheme allows a fixed monthly payment that covers ALL YOUR SURGERY TREATMENT COSTS. * We have chosen this scheme as oppose to Denplan essentials, where the monthly payment is lower, but further charges are made for each item of treatment and this can make it more expensive for the patient and offers less security. Denplan Care offers greater peace of mind. Prices for Denplan Care fall into 5 bands, and your dentist will be able to assess you and tell you which band you fall into. If you are already registered on Denplan Care with another practice, your current band will be a guide for the cost of registering at Beaufort Park Dental Surgery, but you will still need to be assessed before registering. *Denplan Care covers clinically indicated treatment provided in the practice. 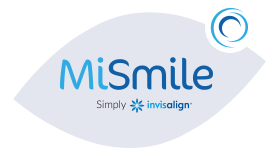 Cosmetic treatment or treatment referred to a specialist practitioner will be outside the contract. Patients under Denplan Care have to pay lab fees, as charged to the practice. Patients have to be dentally fit to be accepted onto a Denplan Care contract, any outstanding work will need to be completed before a contract can be agreed. Below is a guide to prices for private treatment, however clinical situations vary and will affect the cost of treatment. You will be given a printed quotation at you assessment appointment which you will be asked to sign if you agree to the proposed treatment. Urgent Band £14.30 All emergency appointments fall into this band (lost fillings/crowns or toothaches, etc). The charge covers all treatment provided on that day but NHS restrictions and time limitations mean that some treatments cannot be completed. Denplan Care – payments of typically £20 per month cover your routine treatment costs – specific exclusions apply – see our Denplan registration page for details. Pay as you go – BPDS operates a pay-in-advance policy, after your examination, you will be asked to pay a deposit towards your next appointment costs, and full payment by the end of your treatment. See below for details. 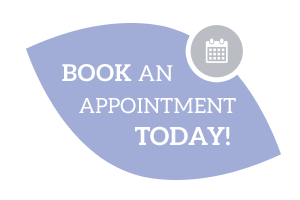 After your initial appointment you will be asked to make a payment before any further appointments can be booked. For your convenience, we are able to take payment by credit or debit card over the phone if you are not able to pay at the time. NHS exempt patients will not need to make a payment unless they have elected to have a portion of their treatment provided privately, in which case the figures below will apply. Exempt patients are advised to ensure that they have proof of their exemption with them at their examination appointment. Private Scale and Polish £43 £15 Late cancellation/failure charge of £10, deposit will used and require re-paying unless 24hrs notice is given. The above figures are provided as an example for simple treatment plans. Payments required will vary for more complex courses of treatment. For example, a patient having an NHS filling and a private Scale and Polish will be asked to pay £49 before appointments are booked.